At Your Pie, we’ve made a commitment to ensure everyone can enjoy great-tasting pizza. That’s why all of our locations offer Gluten-Free dough, Vegan (Non-Dairy) Cheese, and Non-Dairy Sorbet – just ask for it next time you’re in line. Click below to see the full scoop on nutritional and allergy information. We are not only the first fast casual pizza franchise ever but also one of the fastest growing. Every guest enjoys the opportunity to create their own fresh pizza experience. They innovate, explore, and have fun in the process. We provide the freshest ingredients and hand tossed dough, individually sized. The customer chooses the combinations and we deliver to the table hot from the 800 degree brick oven in just 4 minutes. 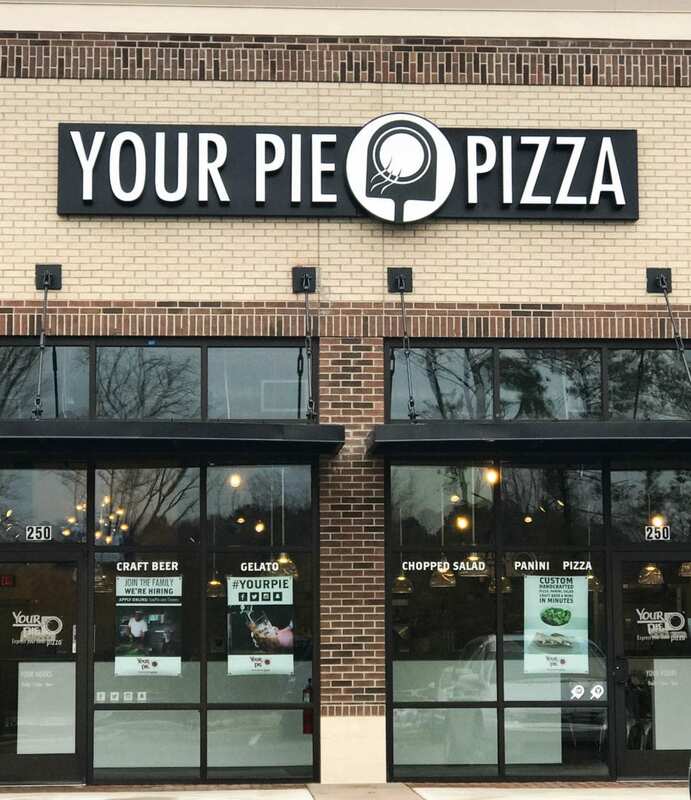 If you are interested in making Your Pie "yours", explore our franchising options. Nothing says catering like Your Pie! Delicious paninis, pizza, and cheesy bread that will liven up any get-together. Check out our catering-specific menu and get ideas for Your Event!